Searching for a weight loss medical clinic to kick start your fat loss journey? Dr. Usrhan’s Health and Weight Loss Center can recommend a personalized program based on your body’s exact nutritional needs. Unlike other weight loss programs, Dr. Urshan’s proprietary weight loss program guarantees proven results in less than two months without the hassle of spending hours at the gym or counting every last calorie*. 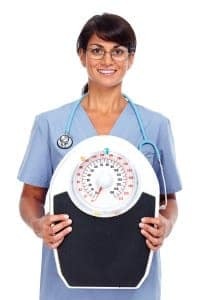 When researching safe and effective weight loss approaches and systems, it’s critical to also do your homework on the weightless medical clinic prescribing the esthetic treatment. Not every weight loss medical clinic will have your best interests in mind. The weight loss and wellness industry is an extremely profitable business that targets “Yo-Yo” dieters who repeatedly embark on fad diets and fat burners. Unlike other weight loss systems, Dr. Urshan’s weight loss technology focuses on scientific, guaranteed results* and long-term weight management. Patients can expect to see desired results within 40 days* of the Dr. Urshan’s weight loss program and will continue to lose weight in a healthy manner for as long as needed to establish a healthy weight. It’s no coincidence that we help those in St. Petersburg, Palm Harbor, Largo, Pinellas Park, Seminole and neighboring cities reach their ideal weight. With guaranteed results* and no crash dieting, the amazing transformation that you will experience with Dr. Urshan’s weight loss program is priceless. Contact the team at Dr. Urshan’s Health and Weight Loss Center to schedule a consultation today.